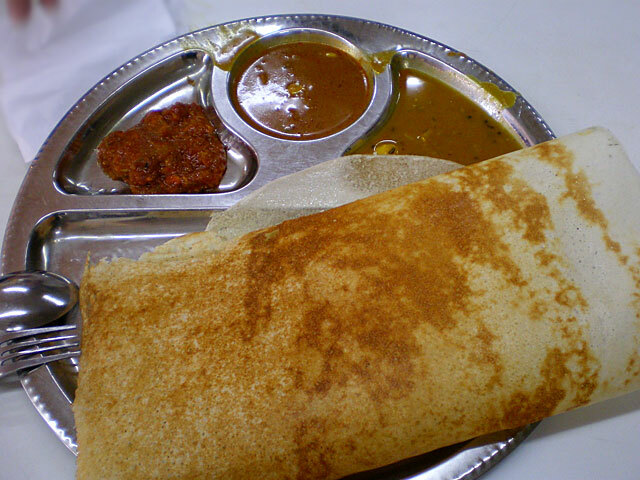 Shazwani Hamid's Blog: Yummy, Yummy, Yummy, I've Got Fatties in My Tummy! Yummy, Yummy, Yummy, I've Got Fatties in My Tummy! Whenever I go to somewhere nice (or maybe not so nice.. hehe) , I always take pictures of what I eat, especially if the food looks presentable and nice. 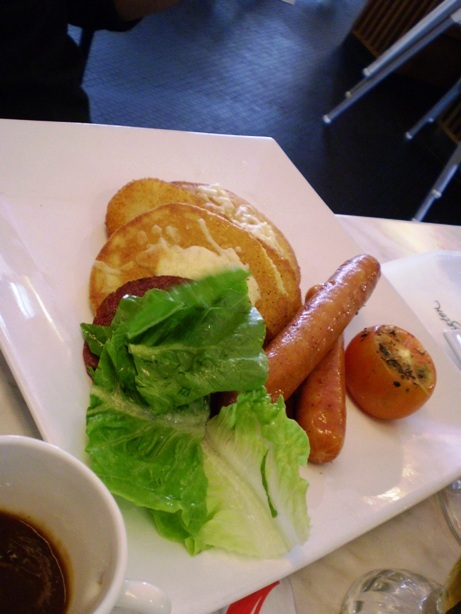 Hehe..
And today, I looked in my pictures folder, and I was shocked to see there’s a lot of food pics!! Tak prasan langsung makan banyak mcm ni for the past week!! Ishh..
For lunch I ate something from Paddington..I forgot the name la..something with hash brown, sausages,baked tomato,etc..
And for dinner, Nasi Goreng Special from Naili's. 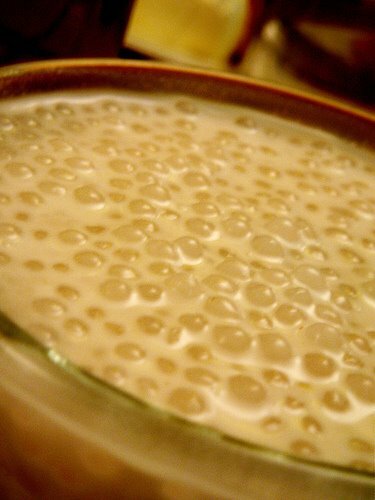 I had my minum petang at Eden's Cafe.. 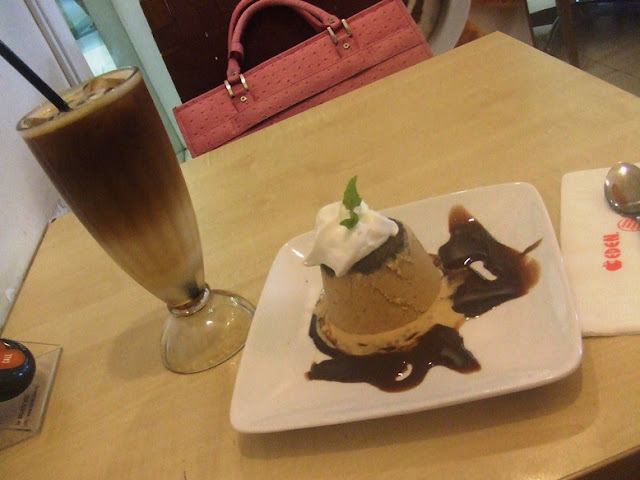 I chose an Iced Latte and a Mud Pie..
And I must say, this one is extremely pleasing to the sense of taste! hehe.. It's so delectable! It tastes like snickers combined with chocolate ice cream!! 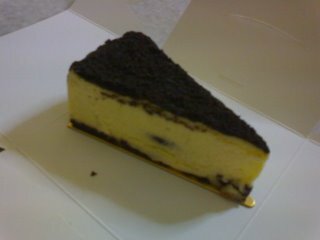 Yummeh! 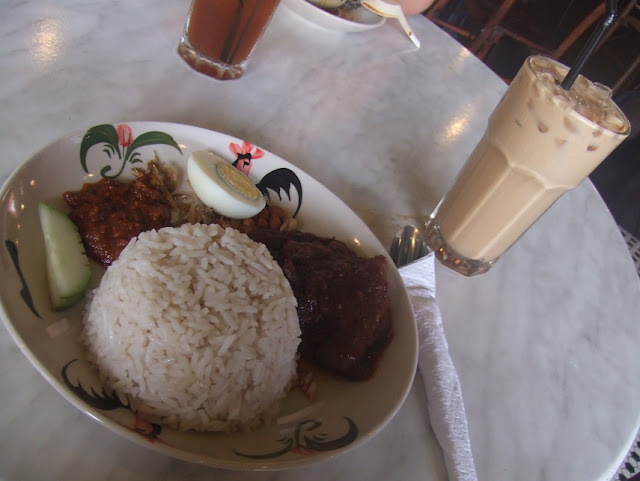 For my brunch I had White Coffee drink and a Nasi Lemak at Bangi Kopitiam. 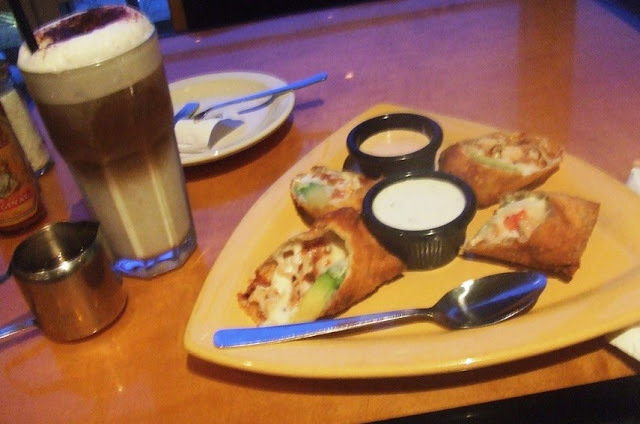 Dinner: Avocado Club Egg Rolls, Caramel Sundae Ice-cream and Iced Cappuccino from CPK. and this avocado egg rolls pun sedapp!! Cheese dia memang sangat rase gemok! Dinner: Paksu blanje mkn at Madam Kwan's.. And I ate Nasi Bojari and Sago Gula Melaka.. And he gave me 2 slices of choc cake from Coffee Bean. (one for me, and one for my roomie). Haih..dia ni memang nak bagi aku gemok la..huhu..
Dinner: Dome Spicy Chicken Olio. 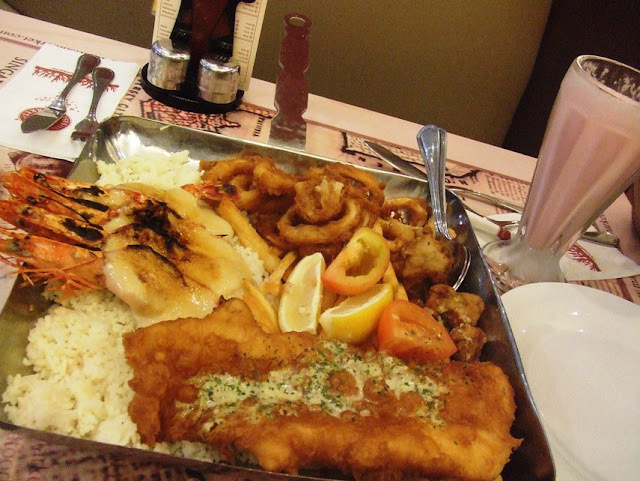 Dinner: Manhattan Fish Market's Seafood Platter for two..and a Sweet Alabama milkshake.. Sgt sedap!! Anyway, I bought a book called How The Rich Get Thin..from Park Avenue doctor Jana Klauer. Has anyone read this book? Best tak? hmm..
PSS: Along!! Jom Yoga please!! Haku serious da gemok dowwwwwh! OMG Wanie! Ur selera mkn ala2 i juge.. Hehehe! Btw, i ate Manhattan Fish Market's Seafood Platter for ONE, Salmon King bla bla bla and ape ntah (share ber'3 okeh!) on Friday for dinner too!! Tapi i gi yg kat Alamanda la.. Hehehe! Shedap kan kan! ;) xpe pasni diet la..
mmhhh but CPK's avocado club egg rolls tu sedap sgt kannn! i love one of the dips. but wanie nampak slim sgt...so boleh la melantak without guilt sbb badan tak naik dipam2..
wanie...siyes...mmg looks tempting but menggemukkn! 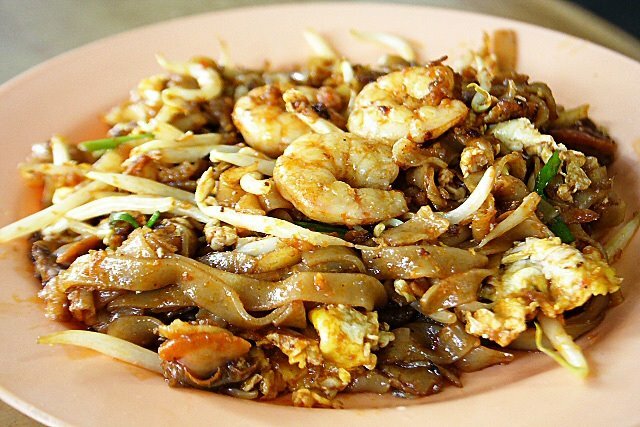 !hey!i like char kuey tiow..mmg sedap ekk..nanti dtg kl ble pi cari!! 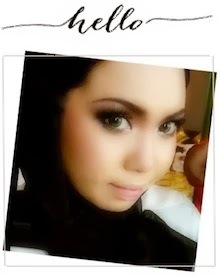 !thanks 4 the info..
kak anita: yeke? i gi yg kat parade punye..hehee..
along: ntah la..haku pon taktau ini kes ape mkn byk sgt tak hingat doniaaaa...huhuhuhh..
ok..wikend ni kte pi pavi k..kite berdaftar bersama2...huhuhu..
kak shay: tu la..mmg sume sedap pun..tu sbb laa nafsu takleh tahan..huhuh.. selimm?? selim tang manaaa tuh?? huhuhu..pipi ku naik seperti kena pam laa!! huhu..
cik wani, i ni peminat char kuey teow. boleh tak nak tau itu aldy char kuey teow mana dia punya tempat, if u dont mind telling? apa punya bahasalah ini saya cakap..hehehe...thanks. 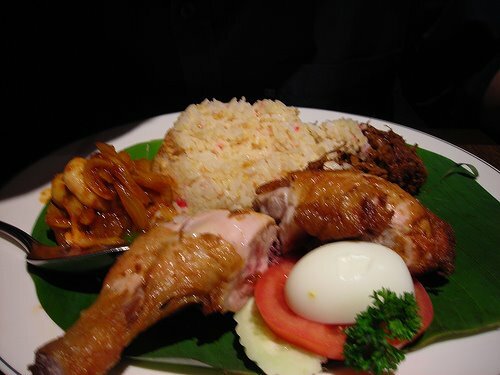 beshyer mkn sodap2.pokai poket bf ko ni,hehhe.smua mkn bender mahal.saye mkn gerai jer.nak mkn mahal kene menabung dulu.ehehhe,tgk awak mkn pun jadi la.keep on writing! OMG. 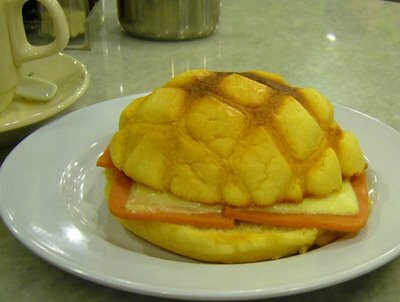 I just lurvvvvvvvv the food kat blog nih... Menjamu mata. omigod wani... gile jadi lapar tgk..
misya & ayesha: urm...yea..i got one or two longscarves yg i beli tapi tak pakai2 lagi..sbb taktau nk pakai dgn baju ape..hehe..tgk laa nnt, i'll hv an entry for my baju2 n scarves yg i nak let go k..
omg. 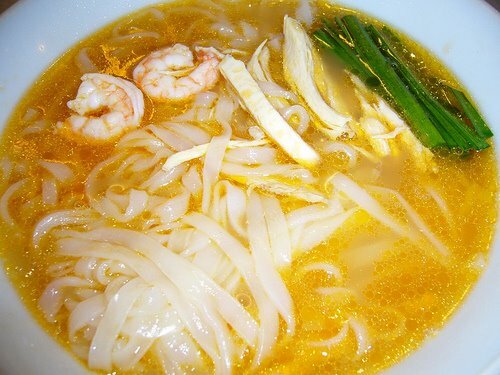 the food on your blog is making me hungry! eh btw, u seem familiar. u study kat mana? B: im studying in iium.. and u katne? same ke? suke blog u wani...cam blog ur sis jugak.....keep on writing dear! !